It is Sunday, 25th of January 2015, and I hope you’re having a great weekend. So, something a little bit different in this weekend’s video. I want to talk about “Day Trading Is Not Like Gambling, Except for This”. And it’s a little bit of a follow-up to a video I put out – it’s quite some time ago now – called “Is Trading Gambling?” in which I argued that day trading was nothing like gambling. And it actually became one of the two most commented on videos on the website since the beginning of the website. Of course, everybody, all the day traders out there, the visitors and followers of Emini-Watch came out categorically in favor, saying “Day trading is nothing like gambling”. Well, this week I got a response from one of the questionnaires that is up on the website asking you about what you trade, how you trade, are you profitable and so on. And it prompted me to rethink this whole aspect of trading and gambling. And I think there is one aspect of day trading that is actually a little bit like gambling and so I just want to explore that in this video. As a little bit of an intro to this – as a back story to this whole idea of gambling – and it’s taken from my own personal memories as a kid. These are two very old photographs of my parents. That’s my father. I think that was taken in the mid-’50s. And that’s my mother, taken probably in the mid-’60s. She looks a little bit like Lady Di in that photograph. In real life, she does not look like Lady Di. Or didn’t look like Lady Di. If anything, she looks a little bit more like Queen Elizabeth II. But anyway, my father died when I was a teenager. We didn’t get on, but that’s not unusual. He was a very tough man, an extremely successful businessman in his younger years. And so the story goes like this. He came out of the Second World War and went to university at Georgetown in Washington, D.C. And coming out of university, he went into the mutual fund industry right when the mutual fund industry was starting to take off. So this was a stock market boom that happened during the ’50s and mutual funds were being launched and he got in absolutely on the ground floor, traveled around the world a number of times selling mutual funds to American servicemen who were stationed in U.S. bases around the world after the Second World War. He became extremely rich from trailing commissions and then he started advising people on how to start mutual funds around the world in places like Toronto, Mexico City, Tokyo, Hong Kong, Geneva and so on. So he was an extremely well-traveled man and a very rich man at a very young age. Now, as things often turn out, that didn’t last and things did turn down. But there was a time when my mother and father would go out to casinos on a fairly regular basis. My father would give my mother a certain amount of money and she would go off and do her own thing in the casino. My father would take an equal amount of money – he probably took a little bit more money out of the family kitty – and go off and gamble. My father, after a couple of hours of gambling, would pretty much have been up and down and up and down and then eventually have lost everything that he decided that he was going to gamble with that night. My mother, by contrast, would have not only won back what my father had lost, she would also win back the entrance fee to get into the casino and then had stopped gambling and would walk away from the tables until my father was done. And then they’d walk away from the casino, my father obviously with his tail between his legs a little bit, but my mother quite happy that they had enjoyed themselves and not come away with any losses. My mother is a very smart woman. She was an actuary in an insurance company. Actuaries calculate the probabilities of all kinds of things for insurance companies, so she was very mathematically capable. But there was a difference in their personalities. Although my father was an extremely successful businessman, when it came to casinos and gambling, he became reckless. My mother was a very stable, calm, focused person who knew that the casino was a game and you played the game to win a little bit and then you stopped. And it comes down to this. It’s a fairly common phrase that people know about casinos: “The longer you play, the more likely it is you will lose”. The house knows this. They design casinos to keep you in there as long as possible. There are no exterior windows on casinos. You don’t know whether it’s day or night outside. They pump the casino full of oxygen to keep you awake so you don’t feel tired and want to go off to your hotel room or whatever. They also make it attractive to stay there to eat, to drink and so on. The longer you play, the more likely it is you’ll lose. And day trading is just like that. 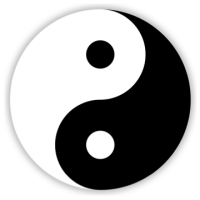 We all have these two sides of us, this kind of yin and yang. And one is a reckless side to us, an ambitious side, an overly aggressive side. And then the other side to us is the disciplined side, the focused side. We have both of these characteristics in us and at sometimes they’re more dominant than others. Trading can be a very emotional thing and it can bring out the worst of you. So someone’s telling us that they know that’s overtrading. Over 100 trades in a 24-hour period is … I mean, we’ve all overtraded. That, I think, is out there in terms of the scale. I remember doing maybe 14 to 16 trades in a day session over the course of two, maybe three, hours. Now overtrading, I think, is going above five or six trades in a 45-minute period. But 100 trades in 24 hours is certainly out there. That’s the aspect of gambling that I think can be very likened to day trading. The more you day trade, especially during a 24-hour period of time, the more likely it is you’re going to lose. And there’s a reason for that and this is the reason. This is a little bit of Information Theory. Just ignore the title of this little diagram to start with, let’s just talk about these two timelines. The first one is just time is running along at the bottom. It’s just like your chart is coming along and then some news event comes out, some information is released to the marketplace. Bang and it’s a surge of information. It’s a piece of information that becomes available. It’s then known by the market. Time rolls on. This is the response transformation, what happens to the marketplace. So, we’re in some form of equilibrium here at this point until that information is released. And then when that information is released into the marketplace, a couple of things happen. First of all, not everybody knows straightaway. There’s a delay. There are people that are watching news feeds, Bloomberg feeds, Reuters feeds and so on, that get the jump on the news, pretty instantaneously. But then it’ll take a little bit of time to roll out to the marketplace. That can be a matter of minutes or maybe half an hour or something like that. People who are swing trading, who have day jobs might not know that piece of news until the end of the trading day the next morning, where they’re checking what’s going on. So there’s an information blip that happens and there’s the response from the market. That response to the market is not instantaneous. It’s not a straight vertical up. There is a little bit of time taken for that information to be digested into the marketplace and for the market to respond. Usually there’s a little bit of overshoot, where the market overshoots in a particular direction. And then over a shorter period of time, we come down to this new equilibrium. So the market then reflects this new information. It’s out in the marketplace and the equilibrium in the market is changed from this old level to this new level. Now, this is the trending period over a period of time. This is where we make money and this is why the Efficient Market Hypothesis (EMH) is wrong. The Efficient Market Hypothesis says that all information is instantaneously available to all traders in the marketplace and no one can take any advantage of that information in the long term. So that information is efficiently transmitted around the marketplace. And it would assume that we get a transformation response that is just directly up and then reaches this new equilibrium level and stops and that’s why the market is efficient. Well, that’s not the case. The market is not efficient. The market takes time to respond and this is what we’re trading. This is the trend move. As soon as the market reaches equilibrium, that’s danger, danger, danger. If the market is not moving at all, we can’t make money as day traders. We make money on this information inefficiency in the marketplace, where it takes time for the market to respond to a news event, the opening, whatever it might be. But I wondered if I could prove it to you and so I went back and analyzed the last three years’ Emini data in 30-minute increments for each trading day on average. So, let me explain this chart to you. On the vertical axis we have points, Emini points. And then on the horizontal axis, what we have is the day session broken down into 30-minute increments starting at 8:30 in the morning. So this first increment ends at 9:00 in the morning. Then we go 9:30, 10:00 and so on. The last 15 minutes of the day – obviously, this is a 15-minute increment from 3:00 to 3:15, when the markets close and the Emini market is closing. And then what I wanted to measure was the range during those 30-minute increments, to understand what was the average range, high to low, for the first 30 minutes of trade. And then if the Emini kept on breaking up higher, above the high of that first 30 minutes, how far it went in the next 30-minute increment, 30 minutes after that and so on. So, what you find is, on average, the Emini trades just under 6 points of range, top to bottom, during the first 30 minutes of trade. Then for the next 30 minutes of trade, if the market is going higher, on the average it goes higher by 2 points. If the market is going lower during that next 30 minutes, it goes lower by just over 2 points. Let’s say 2.2 points on the downside. And then if it keeps on going higher still, the market in the next 30 minutes up until 10 in the morning goes higher by about 1.5 points. If it’s going lower, it goes lower by about 2.1 points and so on. So this is the marginal breaks higher or lower of the Emini during the day. The first thing to note is that the first 30 minutes is the most volatile of the session. We have the largest range during the first 30 minutes of trade. The second thing to note is that when we break to the downside, the moves are larger – so the downside break bars are all higher than the upside break bars. And this is during the last three years, in which we’ve been in a bull market, so even when we have down days, the volatility is higher on the downside. And I think that’s one of the reasons why I like going short, is because the moves on the downside tend to be faster and more extreme. But this is what you must focus on. The information comes out at the beginning of the day – 7:30, 8:30 a.m. Chicago time is when the news releases come out. As soon as the open is made and we start to see the direction of the market is starting to move, that’s new information that comes into the marketplace and the whole market reacts to that. Are we going to have an up day, a down day and so on. But as soon as all that information comes out in the first hour or hour and a half of trade, the opportunities for day trading diminish. The longer you stay in the market trading this backwards and forwards stuff, where we don’t have a great deal of range, that is when you get yourself in trouble. If you like, that’s what the house knows, the casino knows. The longer they keep you at the table, the more you’re going to gamble, the more the odds are in their favor. You can get lucky, you have a little bit of a lucky break, but they know in the long, long term if you keep trading, the odds will come back down to their equilibrium. And the same is true in the marketplace. As soon as that information has been digested and we’ve made our trend move, we’ve had our little overshoot and we’ve moved that down to a new equilibrium, we get this situation where the range is just compressed dramatically and we just don’t have the opportunities to trade. So you shouldn’t be trying to get onboard little trending moves. You’re not going to find a 4-point trending move at lunchtime in the Emini, because, on average, they just aren’t there. But they definitely are there during the first 30 minutes of trade. So, the takeaway is this: stop overtrading. And I have been guilty of this in the past. But it’s one of the easiest things to fix and it’s one of the things that’ll make the most difference to your bottom line. Stop overtrading. Pick a small daily profit target, or a reasonable daily profit target, and once you reach that just stop trading. If you can do that it will dramatically increase your chances of being successful at day trading. You don’t want to be messing around trading all day, because the longer the trading day goes, the less trending opportunities there are and the more the market is in equilibrium and you’ll just get chopped around. So for me, the ideal is 4 Emini points. That’s my profit target on a trade. It’s what my daily profit target is. If I can hit that in one trade in the first 30 minutes of trade, bingo, that’s great. You know, if the market is then still moving quickly and we still have fast moves and so on, jump back in. Pick up another point or two. If you’re lucky, pick up another four. But as soon as you’ve made that small, reasonable daily profit, just stop trading. We’re all part yin, part yang and it’s like having the devil on one shoulder and an angel on the other shoulder. There are things that we need to do, rules that we need to put in place in order to stop the bad behaviours. Stop the devil talking in our ear and persuading us to trade and trade and keep trading.